the polymers containing 10% of the drug metronidazole. Computer simulation of eroding matrices (Fig. 8.36) can give an accurate representation of the process and can predict the position of the erosion front and the weight of the matrix. 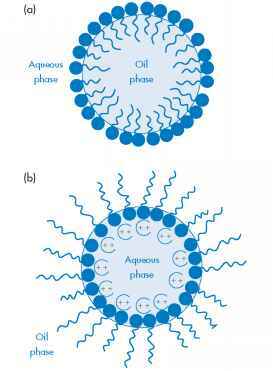 More precise control of release than is possible with matrices has recently been achieved by the application of several features of polymer physical chemistry, as discussed below. 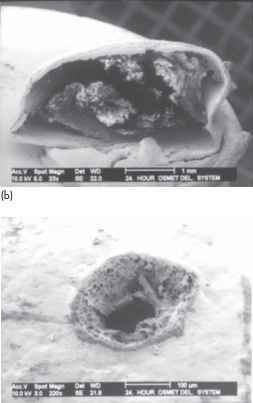 Figure 8.37 Low power scanning electron micrographs of an oral osmotic pump (Osmet). 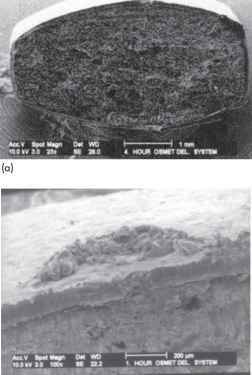 (a) A section showing the semipermeable membrane, the osmotic core and the laser-drilled orifice. (b) The same 8 h after immersion in water. (c) The laser-drilled orifice. (d) Another view of the tablet via the orifice after 24 h immersion.